I chose to use the Hypnobabies method which you can read more about HERE or buy materials HERE. For those who have followed my story until this point you know that I have been skeptical of so called “pain free” childbirth. I weighed the pros and cons of an epidural vs going natural; I’d done both and didn’t have a fantastic experience with either one. 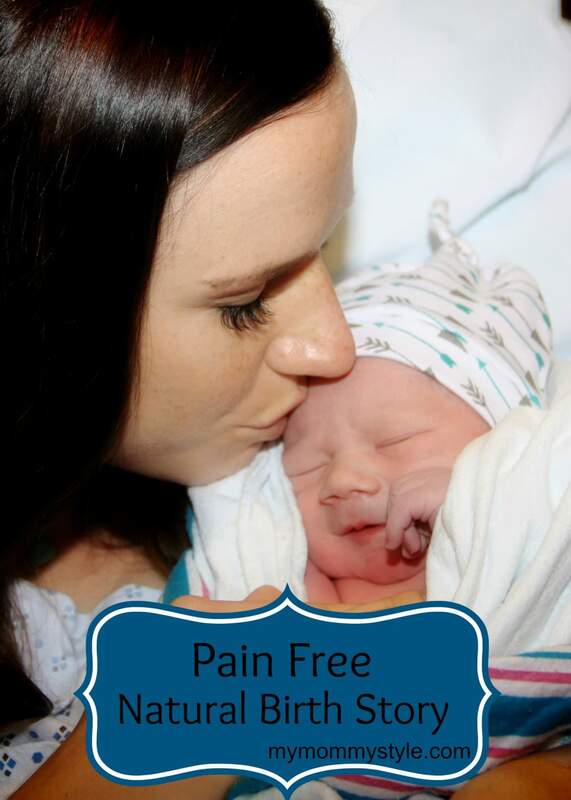 I felt out of control with the pain either having fear that my epidural would stop working (from past experience) or going the natural route unprepared (which I had also done.) When I talked with a friend about hypnobirthing I did not believe that labor could be the way she described as wonderful and amazing without drugs… I am here to tell you it works. I chose to use the Hypnobabies method which you can read more about HERE or buy materials HERE. I am entirely fascinated by numbers and cool birthdays and because 11/12/13 fell within a week of my calculated due date I opted to have my membranes stripped the day before the 12th in an attempt to give my son a “cool” birthday and move things along. I also scheduled the hospital because although I was opting to not get induced by drugs I was planning to have my water broken to induce the labor if I wasn’t already in labor from having my membranes stripped the night before. I hadn’t thought about inducing my labor this way and didn’t even know it was an option until a friend of mine told me she had all of her babies this way. In the natural birthing world this is not considered the best idea because you should let your body go into labor on its own. 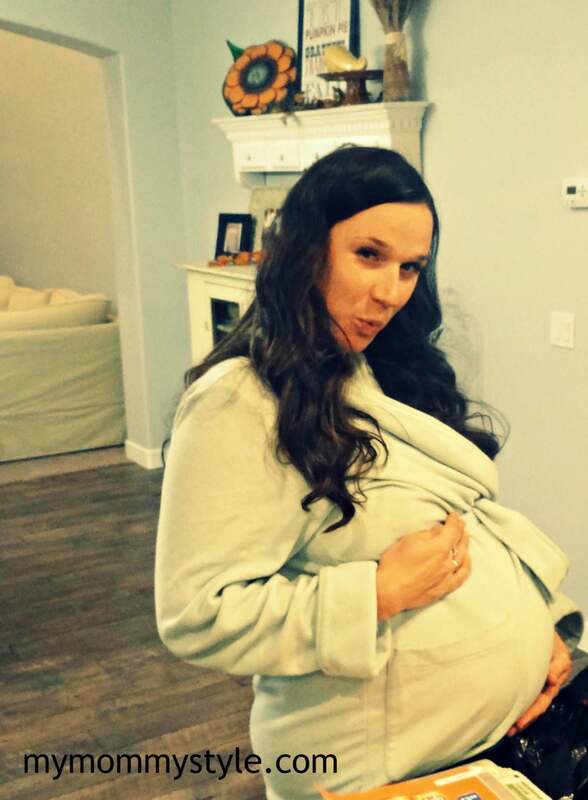 The day that I went in (a week before my due date) I was already dilated to a “roomy” 2 almost a 3; so things were progressing and with each week my body was showing signs of readiness. With this being said some will tell you that stripping the membranes doesn’t do a dang thing, others will say it puts you into labor. Believe me, I read all sorts of comments from women on the subject and I decided I wanted to try. We were checked into the hospital shortly after 8 o’clock. I stayed calm and focused listening to the “Positive affirmations: Birthing day” track from hypnobabies. I did bring my own birthing ball, wore a sports bra in case I wanted to get into the jetted tub during labor, and had my iphone downloaded with all of the hypnobabies tracks ready to go. **By the way, you can call ahead and request the jetted tub at the hospital if you know you’re coming in. The hospital told me things were slow so if they didn’t fill up they would reserve that room for me knowing that I was going natural! Checking in at the hospital: The nurse was a little frustrated that I wasn’t there right at 7:30 which was a little funny because the women’s center was almost empty. I could also tell she was skeptical of my choice to go natural. She told me it would be best if I signed the paperwork giving the okay for anesthesia so I wouldn’t have to worry about it later. Truth is I am sure she has seen plenty of women who said they were going natural and it didn’t work out and I am almost certain she thought my planned method wasn’t going to work for me. I was excited to put my hypnobabies to practice and prove her wrong. Is that bad? Ha ha. I was really excited to make a believer of her. I had also brought along a dozen oatmeal chocolate chip cookies the size of my face for the nursing staff and I think that warmed her up to me a bit! 😉 Anyway, she was the head nurse and had an intern with her (who was a man that I was SURE had just come from the financial department, balding and painfully quiet.) We went through all of the typical questions of previous pregnancies and births, she explained to me that I would need to have the baby monitored 20 minutes of every hour but I was welcome to walk the halls, get in the bath, or do whatever it is that I had planned to do. I also got my saline lock set up on my arm so that in case of emergency I could get hooked up to an IV in a hurry. I had no problem with these methods. I chose a hospital to have my baby naturally so that if there was a problem I could have the baby monitored or get hooked up to an IV in a hurry. 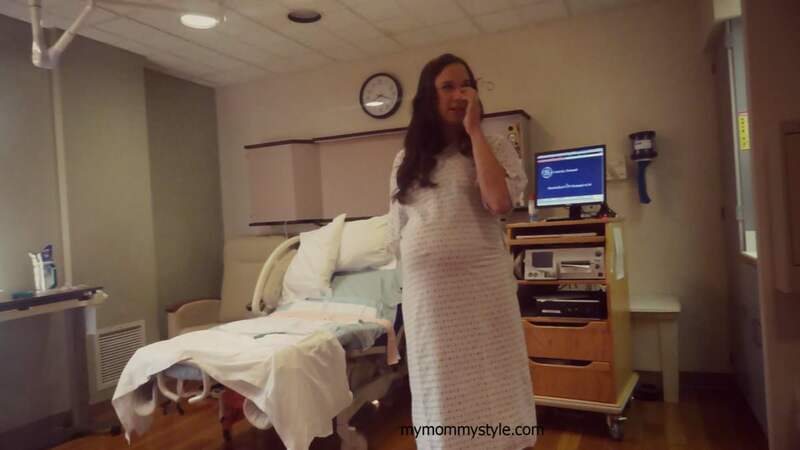 This is when the fun began, early labor: I was feeling so excited that things were already happening on their own and asked the nurse to notify my doctor that I wanted to hold off on having my water broken to see how quickly I could progress on my own with no intervention. I was almost dilated to a 4 at this point and 80% effaced. I decided it was a good time to do some squats. Seriously. No, I did not do squats pretty much my entire pregnancy but I was feeling so good and was excited about moving things along. I think the “positive pregnancy affirmations” track I listened to from hypnobabies really helped put me in a positive mind frame and I was ready to do this! My husband and I spent the next few hours walking the halls and squatting. All this time I was listening to my “positive birthing day affirmations track” and when I would have a contraction/birthing wave I would lean up against Paul tucking my arms up on my chest and leaning on him relaxing my entire body and letting him balance me as I focused on being calm, relaxed, and open. After it was over we would walk and talk through the halls. We ate slushies that we made from the hospital and even “shopped” some knit beanies that had been donated to the hospital. Eating slushies and shopping. I was having so much fun. I could hear whispers from the nurses down the hall, “she’s going natural,” “Yeah, hypnobirthing I think.” They were curious but let me do my thing. By 12:00 the nurse checked me and I was dilated to a roomy 4 but things had slowed down. The doctor suggested we break my water and get things moving along. By this point I knew my body was ready for that next step and was ready to do it. Once my water was broken I could feel the contractions/birthing waves a little more strongly and decided I would lay down on my side and listen to my “positive birthing day affirmations”. At this point the nurse asked if she could have a monitor on me since I was planning to labor in bed. I had no problem with that and found that it was comforting to see the baby’s heart rate and Paul could check in on the intensity of my birthing waves without having to ask me. I also decided at this point that I would not be getting in the jetted bath as it would increase the risk of infection (once my water was broken) and it could be tricky getting out of the tub. I was comfortable enough and just decided to relax and listen to my hypnobabies tracks. Paul and my Mother were there through all of this and were so surprised as I progressed through my labor. They had to ask if I was sleeping because I wasn’t making any sound and was just laying peacefully and breathing through the birthing waves. I did use the “finger drop” method as I had practiced through Hypnobabies; but more than anything I focused on breathing and “filling up” my belly with oxygen as though it was a balloon. I also focused on being open, allowing my body’s muscles to do what they were designed to do, and repeating the word “open, open, open” in my mind. Hypnobabies suggests that you can come up with a time that you wish for your child do be born, whether it be the day or actual time of day and you should visualize this. I had imagined in my mind that my baby would be born before 4:00 pm on 11/12/13; more on this later. The nurse came in to check me at 3:00 and asked how I was doing. I was feeling great! Could I feel the contractions/birthing waves? Absolutely. But it wasn’t anything more than cramping sensations and in my focused state they were NOT painful. She checked me and let me know that I was at an 8! WHAT!? I had progressed from a 4-8 in less than 3 hours and my training was working. It was the best feeling. I was almost there! She asked if I’d like to change position and so I switched to laying on my right side to get things moving along. The doctor came in 20-30 minutes later and asked if I was feeling “pushy.” I told him I wasn’t and I was still at an 8. During this part of my labor I had my husband push a cold rag to my forehead (I was starting to get a head ache and found this comforting.) He also repeated the key words of “relax” to me a few times. My mom was feeling helpless and offered to massage my feet and calves which felt great. With these last few birthing waves/contractions I began to hum as I worked through them. TRUTH: I think at this point I lost focus a bit. The doctor had told me I hadn’t progressed in the last half hour and I kind of came out of my “hypnosis.” Within five minutes of the doctor leaving I went from being dilated to an 8 to a 10. This is when things got tough. This also made it so that I didn’t have time to listen to the “pushing” track of hypnobabies…but because things happened so quickly I didn’t really need to. TRANSFORMATION/TRANSITION: Because I progressed to being fully dilated and effaced so quickly I kind of lost it a bit. My body felt really heavy and I lost feeling in my face and my arms. I don’t know why this happens to me but I had a similar thing happen with my other two deliveries so it doesn’t matter whether I have an epidural or not. I don’t know if it is because I was breathing too quickly at this point or if that is simply the way my body reacts to transitioning. The doctor rushed back in and I was ready to PUSH. The best way I can explain this part is that my need to push felt like the need to vomit. That is kind of a gross comparison but it was almost like an involuntary reflex like your knee being hit with a mallet. This baby was ready to come NOW! I was still lying on my side and because things happened so quickly there were nurses that rushed in all at once. I think they weren’t expecting the sudden onset because one of them started messing with my IV for some reason (even though it wasn’t attached to anything) and no one was holding my legs for me. The doctor lowered the bed a bit and I delivered kind of lying on my side but also on my back. I yelled out, “Someone help me!” because my body felt numb, I couldn’t move it. Paul tried to help me remain calm by saying “relax” it helped some but at this point I was just ready to get this done. The doctor told me to push when I was ready because the baby’s head was there. I pushed twice to get his head out and one more time to get the rest of his body out. It was so so fast. I probably should have waited for my body to give me another nudge but I just muscled through it. And he was out and beautiful and received an almost perfect apgar score. It is amazing what relief comes once the baby is out! I did tear a little bit because I pushed his body out so quickly. The nurses raved about how big he was, this was comforting because I was still only measuring 35 weeks, and they announced he has hair! They were able to lay him right on my chest and I was able to breathe in my beautiful baby. It was surreal how quickly he came right in the end and I was able to stand up right after delivering him. I actually requested to do so because my tail bone was hurting from my position I delivered him in. *Note to self: I will have my “team” at the ready to get my body into position next time. After a good initial cry Jett calmed right down and was peaceful and content. My body did shake from the rigor of labor for about 30-45 minutes…but after that I was feeling so good! I was able to walk to the recovery room and required no assistance when using the restroom or getting up and about. My husband says that this is one of the things that surprised him the most. Because I didn’t have any drugs in my system at all my body was able to recover so much more quickly, even my bleeding after the delivery was much less. I am so happy with my decision to prepare to go natural. My preparation made all of the difference in the world! I was able to accept the changes happening in my body and apply my relaxation techniques that I had practiced for the 4 weeks before. It was completely rewarding and beautiful. Baby Jett came at 3:42 p.m. weighing 7 lbs 12 oz, 20 inches long. I am so thankful for the partnership and support of my husband as we worked through the labor together. He would tell you he didn’t do much, but he did. Knowing he was with me in the preparation and through the delivery meant so much to me. The doctor just told me yesterday that he had watched us in the hallway of the hospital leaning into one another as I went through my contractions and said it was one of the most beautiful moments he’d ever seen. That he was there to support me and we were working through it together. Making it a moment he says he’ll never forget. I would absolutely choose to have a child born this way again. You can buy your own Hypnobabies materials HERE. And if you have any questions please do not hesitatate to ask. And those anesthesia papers? Never signed them. I love a good birthing story and you are brave letting us see your photos – and your babies little screwed up face (and I mean that in a lovely way) is just breathtakingly beautiful. I have 3 teenagers and have never had a epidural, I tried a tens machine with the second 2 which was ok, I had pethidine with my first but didn’t like how it made her so sleepy. I think this Hypnobabies things sounds great, I do remember concentrating on curling and uncurling my toes with our youngest and finding just having something to concentrate on like that really helpful. Thanks Julie! You need to explain to me what those methods are, I am not familiar with them. What is a tens machine? Thank you for reading! What is your site all about? I will go check it out now. Hi! Katie Bastian gave me this link, and your story is absolutely beautiful. I’m almost 18 weeks along in my first pregnancy, and I’ve been seeing a normal doctor, but I’d really like my experience to be like this. I plan on delivering at a hospital, but I want it to be natural. When did you first talk to your doctor about going natural? I’ve loved the couple doctors I’ve seen so far, but I have this fear that they’ll be annoyed with me. Also, how far along in your pregnancy did you start preparing for your birth experience? Sometimes I feel like I’m already too late, and other times I think I can put it off. What would you recommend? My OBY/GYNE has their pregnant patients rotate through their 4 doctors and 1 nurse practitioner throughout the patient’s pregnancy. I ended up having the doctor on call that I had only seen once. Not that this was a problem, but I went 8 hours laboring without seeing her. I saw her when we first arrived at the hospital 1 hour after I lost my mucous plug, I believe. The nurses examined me. I was not dilated. The nurse did something called a ROM plus test to try to see if in fact my water had broke. (Sorry for the confusion, between water breaking and mucous plug). The doc came in a half hour later and examined me. Hurt like hell! I was getting to the point where I thought okay I will go home if you are not going to admit me. The nurse showed us to our birthing room. I went 12 hours with one nurse telling her I wanted to go natural. I did have her put the saline lock in. We had not seen the doc in a long time (turns out she was at her son’s soccer game). The nurse said she was not at the hospital and I said I wanted to see her. She came in around midnight I think and she said the labor was not progressing enought and that I needed strongly to consider IV, Pitocen, Epidural, etc. At that point I caved and was so mad. It was also the new nurse on duty and I told her I would get everything: the IV and epidural. I was so fed up. She started my IV and I started to pee immediately as she did. I think an hour later the doc tore the membranes. I think she did this twice actually. This was my first birth. I told my husband it felt like a gallon of fluid being released. It was such a release!!! Then they said of course for me to stay in the bed. All of the labor pains were in my back. I remember telling the doc and my appt with her that I was unsure what the contractions would feel like and that I thought I had had one earlier on in the pregnancy. 2 hours or after the membranes being ruptured ( i think it is the correct term) there was debate about whether I would get the epidural. Mostly my husband wondering. But me just thinking in my head if I wanted to. I felt like i needed too and so the anesthesiologist came in and i do remember the labor “waves” coming quickly. I had seen epidurals being placed before. I literally was hugging my nurse and not because they kept telling me to arch my back, but because I just remember the need to hug her and thank her. The actual placement of the epidural sucked and I still have a small bruise there and get some pain there on occasion. (I am 4 weeks postpartum). I remember 2 sticks of the needle. The first being the lidocaine numbing as they say, but I definitely (I think) felt the actual insertion of the epidural needle. She then asked if I felt numb and the medicine was starting to set in. It took about an hour for it to actually set in and I could not lift my legs hardly at all. This was frustrating as I wanted to lie on my side. I also had the monitor belts on the whole time and there was interference with the readings on the machine (pretty much the whole time and me and my husband pressed the silence button). Finally the nurse returned and said you are about to have this baby. I was pretty much hysterical -no other way to put it- but soo soo ready. She checked my cervix and said I was about there and I was pushing just by force of nature/habit. The doctor was not there yet so I didn’t want to push to much. As soon as the doctor walked in I knew all I needed to do was bear down. As the baby came out it was such a relief, it did not hurt at all. They plopped little babe on me and I was so happy!